Mountain restaurants and alpine huts in the ski resort Plan de Corones offer the opportunity for a break during your day’s skiing. 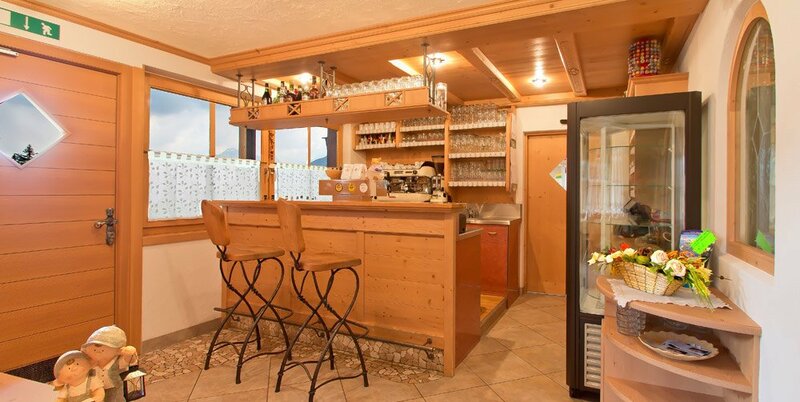 The ski lodge Al Cir excels in this area due to its fantastic location and excellent South Tyrolean cuisine. Besides, the ski lodge is easily accessible because it is located right next to the mountain stations “Piculin” (San Martino in Badia) and “Piz de Plaies” (San Vigilio). Performing a gentle curve you may reach the ski lodge at Plan de Corones/Dolomites comfortably from both lifts. In the lodge you will be served a delicious lunch. Furthermore, the ski lodge is just 1 kilometre away from the farm Al Cir and easily accessible also by car. The lodge is open from the beginning of the ski season in December until Easter. The terrace of ski lodge Al Cir invites you to sunbathe in the warm rays of the winter sun. Take a break from the cheery fun on the slopes and enjoy the fantastic views of the Dolomites. Nearby you may admire the snow-capped summit of the Sas de Putia and the vista sweeps over sparkling white snow fields and mountain peaks. The ski lodge on Plan de Corones/Dolomites has been furnished with great attention to detail. Cosy sitting areas surrounded by wood-panelled walls radiate traditional South Tyrolean charm. In a relaxed ambiance you may enjoy traditional South Tyrolean dishes, before venturing back on slopes of the ski resort Plan the Corones. The ski lodge Al Cir is the ideal starting point for leisurely strolls through the winter landscape or for exciting snow-shoe hikes. From here, several hiking trails will lead you through the alpine surroundings of Plan de Corones – in the peaceful stillness you will have the opportunity to escape the stress of everyday life and recharge your batteries. You will be fascinated by the high alpine landscapes and experience the charm of a mountain region, which is a UNESCO World Heritage Site.